I have been debating about writing this post. And I will tell you why later on, so keep reading. 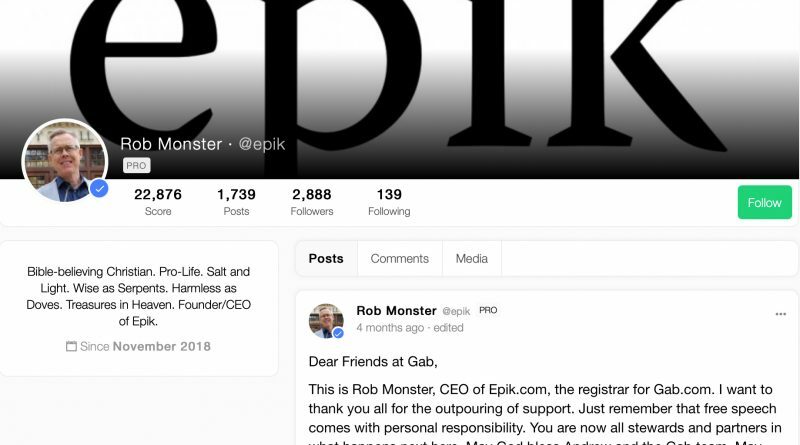 It has to do with recent posts by Rob Monster, the current CEO of the registrar Epik. I have met him at NamesCon in 2018 briefly and he came across as a really nice person. I think it was at the Epik booth. Then I learned about the other ambitious ventures he was involved in such as Digital Town that aspired to create smart city websites and was impressed, even though most of the details went over my head. That’s why what I learned in the last few days came as a shock. Not because of any political bias (I am politically neutral and don’t vote) but because it offended me as a human being. It went against my deeply held bible-based principles, respect for life and basic human decency. You will notice 2 things about it. 1. Rob uses the killer’s first and last names, he wants to make a public record of his name. He didn’t have to do that. I know I would not use the name of someone that I thought did something I despised that was deplorable or worse. 2. 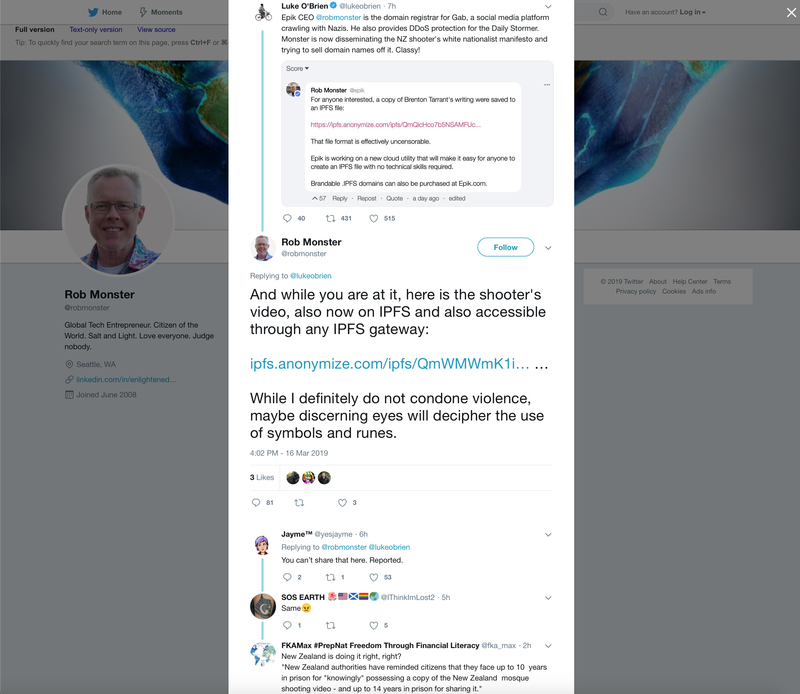 Rob uses the horrific incident to tout “a new cloud utility” for ipfs files that Epik is working on, and their anonymize service. That’s where he uploaded the terrorist’s video and posted the link in his tweet. To use a mass shooting as an opportunity for self-promotion is cold, callous and shows a serious lack of empathy. I couldn’t hold back from saying something. With my head spinning and my heart heavy, I responded on the first domaining site I found with anything about this story. I commented on DomainGang.com. I felt better. I said what I was feeling. I could now go on. So I thought. Rob Monster not only triples down but goes much further. He actually goes on to promote a conspiracy theory. You can see his post above, but here is also the link to the post on Namepros. 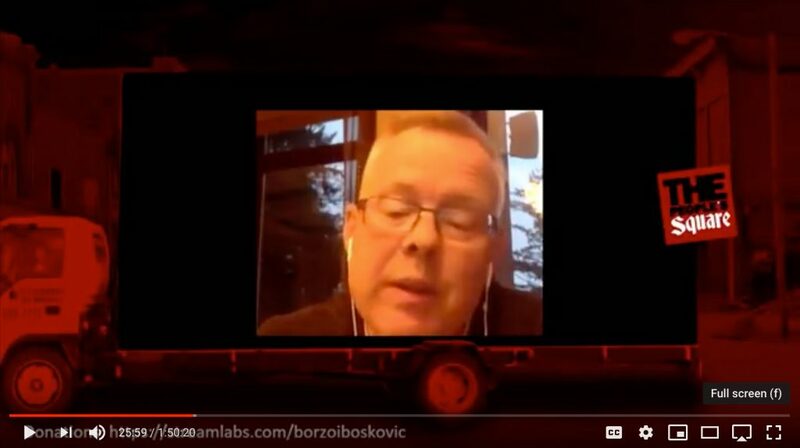 Rob posts a link to a video on a conspiracy site and claims ‘discovery of material inconsistencies’. The video is a small part of the terrorist’s entire video that shows him shooting his high-capacity rifle with bullets flying out and then supposedly disappearing as they drop into the ground. The video is low-res and then shows a studio set scene with someone shooting blanks without any bullets and then apparently the same shot with the bullets visibly flying out. 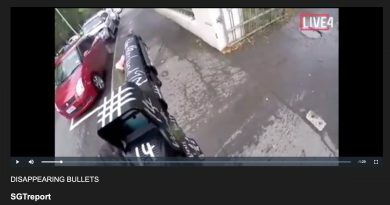 The implication is that the terrorist’s video was doctored and staged in order to change gun laws in New Zealand. On top of that, the video somehow insinuates that John Podesta was involved. You have to be really gullible to believe this stuff. This is beyond ‘free speech’. This is gaslighting. This is dangerous. And to see someone so visible, so prominent in the domaining community involved in this behavior is truly disturbing. To use controversial words like ‘free speech’, ‘censorship’, and the like to justify the spreading of propaganda and conspiracy theories about dehumanizing, murderous and terrorist acts is incredibly irresponsible, to say the least. The final quote in Rob’s Namepros post, that comes from the time of the American Revolution, is especially disconcerting. Taken completely out of context, it should give anyone shivers. It appears that Rob Monster has a reputation. I had no idea until I did a search recently. But it goes back prior to this issue. This is not about free speech. This is not about having an open mind. This is not about censorship. That’s what hate mongers want us to think. To keep their hateful speech accessible to as many as possible. To lure the weak minded, the gullible. No, instead this is about love and hate. This is about right and wrong. If you know of others, please post the link below.